As much as we Seattle-ites crave the sun, the minute it gets above 75 degrees we are just too hot. So air conditioning our homes has become more and more popular. Even 100-year-old craftsman homes are being retrofitted with central air conditioning, ductless split systems, and heat pumps. As we’ve covered in previous articles, the equipment you choose is important, but it is only one part of designing an energy efficient, cool home. Our HVAC Specialists have three more top ways to optimize your AC. One of the most common complaints that we hear about central cooling is differential cooling in the floors of a house. This is a problem for homes in which an air conditioning system or heat pump has been added that uses the ductwork in the home. These homeowners find that the upstairs never gets quite cool enough, or if it does, the downstairs is freezing. Unfortunately, one of the main reasons that differential cooling happens is due to home design. Our homes in the Pacific Northwest, including new construction, were designed for efficient heating, not cooling. The vents are placed on the floor, allowing hot air to naturally rise through the room. Cool air sinks, making floor placement inefficient. The cool air has to fight its way up to us. To ensure you get enough cool where you need it, it’s important to size the cooling equipment properly and consider points 2 and 3 below. Remember the old days when you used a can opener that made a hole in the lid of a can? Just having one puncture did not let much of the liquid out, but making a second puncture on the opposite side of the lid greatly enhanced the flow out of the can. Similarly, in older homes where second stories have been added, there may be too few ducts and cold air returns to keep air flowing evenly. 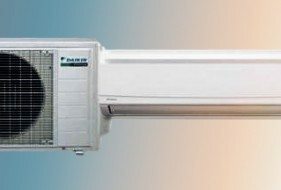 This not only impacts your comfort but is also needed for the proper and efficient functioning of the fan system that is distributing the air. If air can return back to the fan naturally, it doesn’t have to push as hard. Fortunately, ducts and cold air returns can be added to most homes. 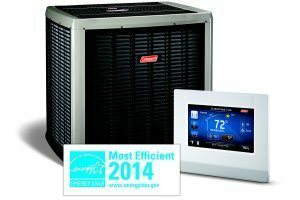 Another option which works well in Seattle homes is to skip central air systems altogether and choose a ductless split system. Ductless cooling is quiet, energy efficient and best of all, it can be adjusted separately in each room or common area to optimize cooling. Ductless systems offer tremendous flexibility. There are split systems which do only cooling and those that do both heating and cooling. We find that most homes with the upstairs - downstairs temperature variability have it in winter as well, making the combined heating and cooling option most popular. If you are reading this and you already have installed a cooling system, but just need a little less heat upstairs in the house, a well-placed attic fan can help as can closing blinds in hot rooms. Ask your Fox HVAC Specialist for more tips on staying cool this summer.